VC Innovates hosted another winner last night! 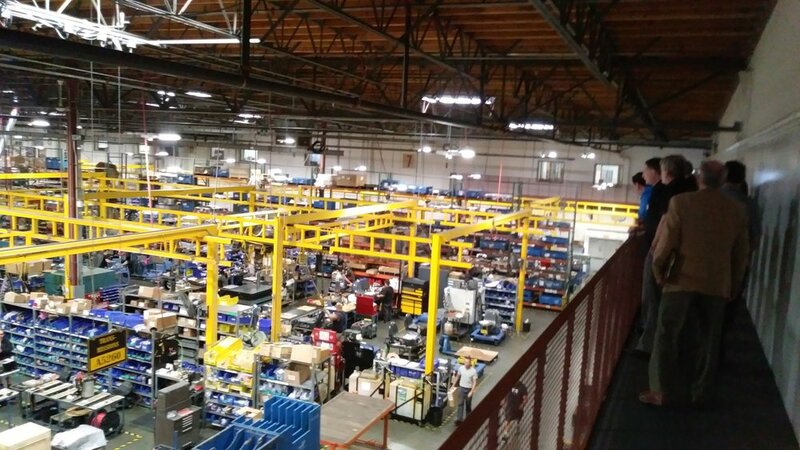 More than 20 of the region's manufacturers set up shop at "Made in VC" to encourage the next generation of workers to consider a career in manufacturing. Over 150 students and parents joined in the fun. Add a key note speech from Minimus CEO, Paul Shrater, and the In-N-Out truck and you have a mega-hit ! 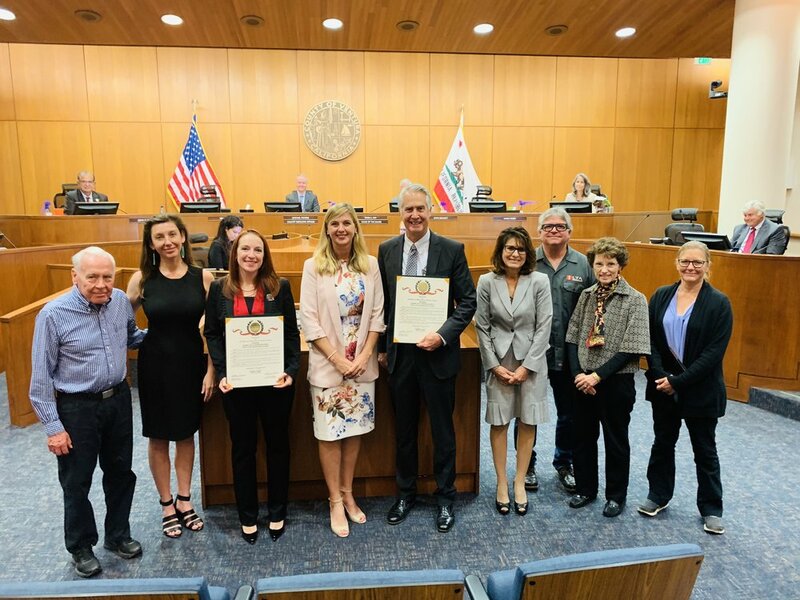 Tuesday morning the Ventura County board of Supervisors issued a proclamation establishing the Ventura County Apprenticeship Consortium and November 2018 as Apprenticeship Month. Watch for more news as apprenticeship expands across the county! The WEC hosted a successful joint meeting of the IT and Manufacturing Guilds this morning. Valuable info re a new regional cyber-security certificate in the manufacturing context was shared by Dr. Ron McFarland. Kyle Donnelly of Haas started off the meeting with a terrific overview of how Haas attacks its cyber-security concerns. Many thanks to Haas for hosting the Guild meeting and to Peter Zierhut for providing plant tours. VCEDA hosted a terrific Manufacturing Business Outlook Conference this morning at the Reagan Library. 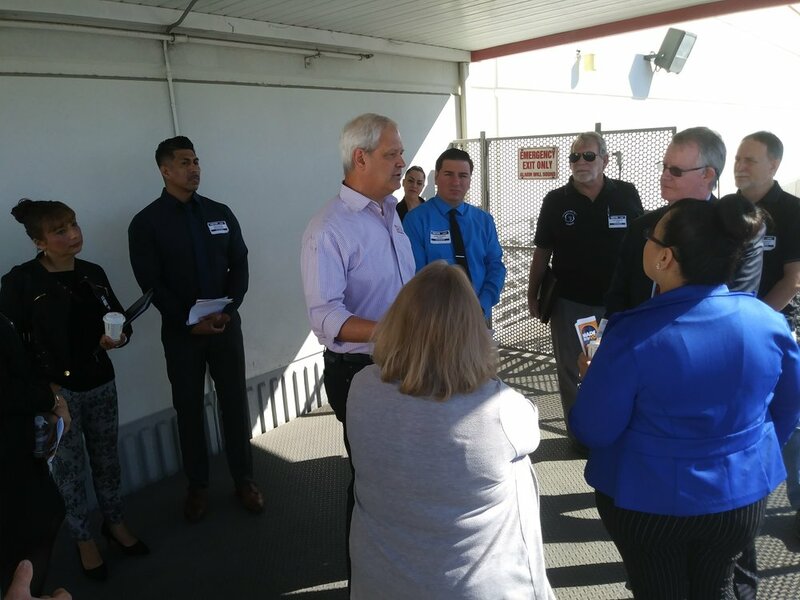 Everyone came away with a better understanding of where the sector stands in Ventura County, where it's headed, and what challenges we need to address to assure success in the future. 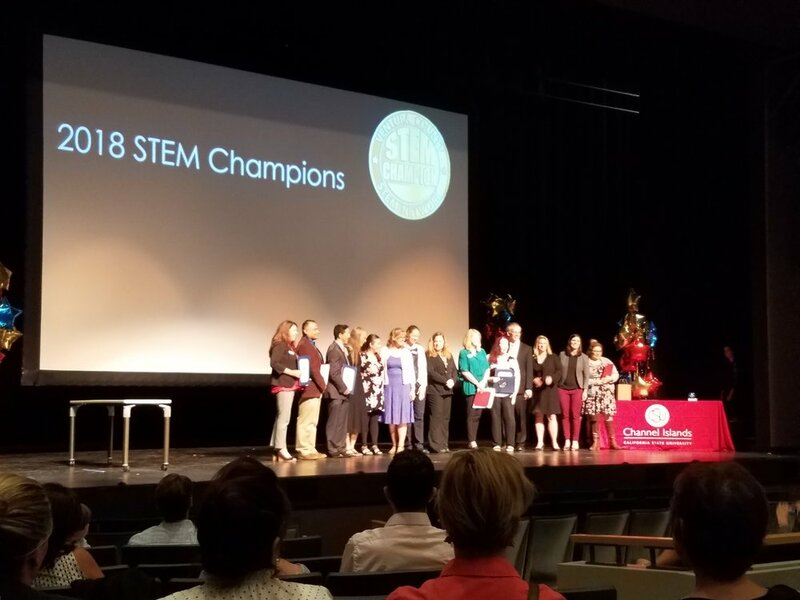 VC STEM did a great job Thursday evening recognizing the best STEM programs in Ventura County. WEC partner, Seminis, donated more than 30 retired monitors, keyboards and mice to the WEC's Laptop Advantage program! With the revenue that these donations raise, the WEC will put laptops in the hands of Ventura County STEM students. It's the perfect time of year for the WEC to receive donations of retired computer equipment from your business. With your help, the county's neediest bright students will have access to technology for the entire school year! A huge Thank You to John Waskewics from Lead-In Technologies, Inc. for donating 14 retired HP Z Series Workstations to the WEC's Laptop Advantage program! 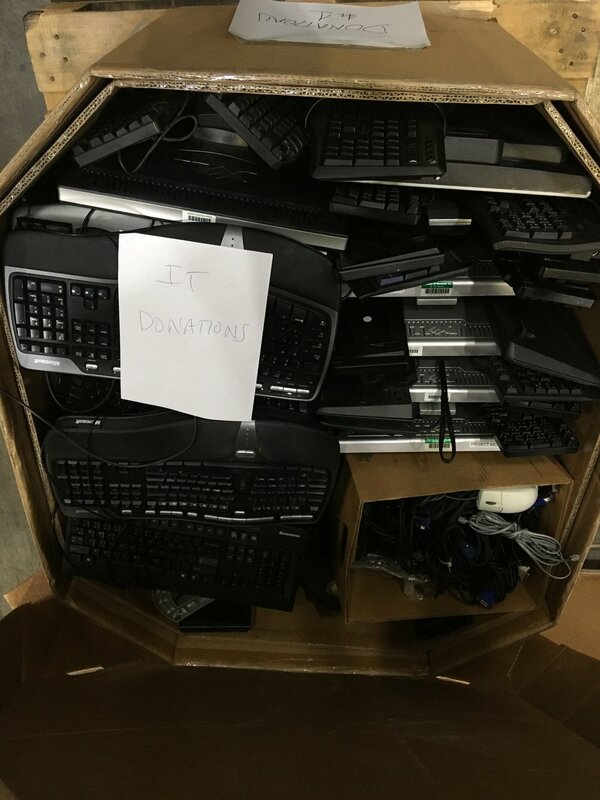 If your business is getting ready to dispose of computer equipment, please consider making a donation to the WEC for the Laptop Advantage program. We can turn your waste into refurbished Dell laptops for low income STEM students. Please help us level the academic playing field for our region's low income students. 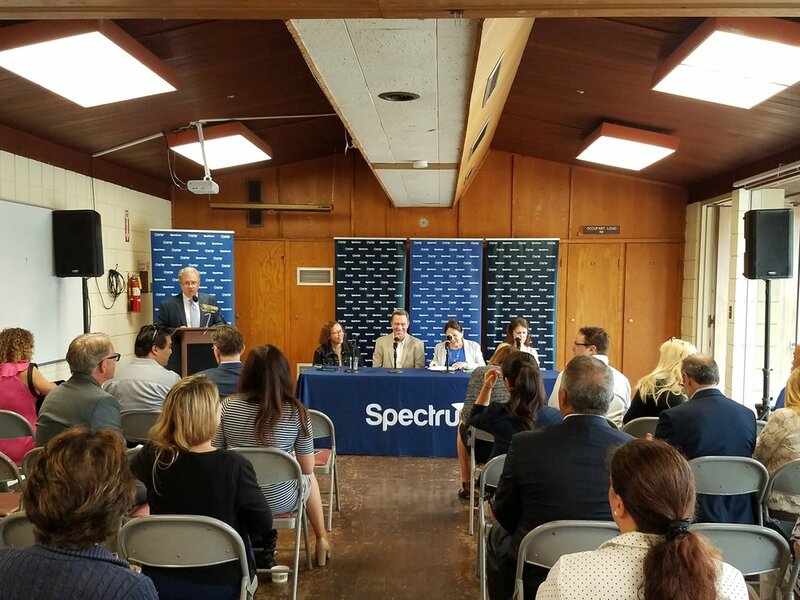 Last Friday, Charter Communications, Spectrum and Assemblywoman Jacqui Irwin hosted an important community panel discussion on the importance of digital literacy and inclusion. Oxnard Community College President Azari joined Oxnard Union High School District Superintendent DeLeon to affirm that much work needs to be done to assure that Ventura County students are computer literate and have access to wi-fi networks. 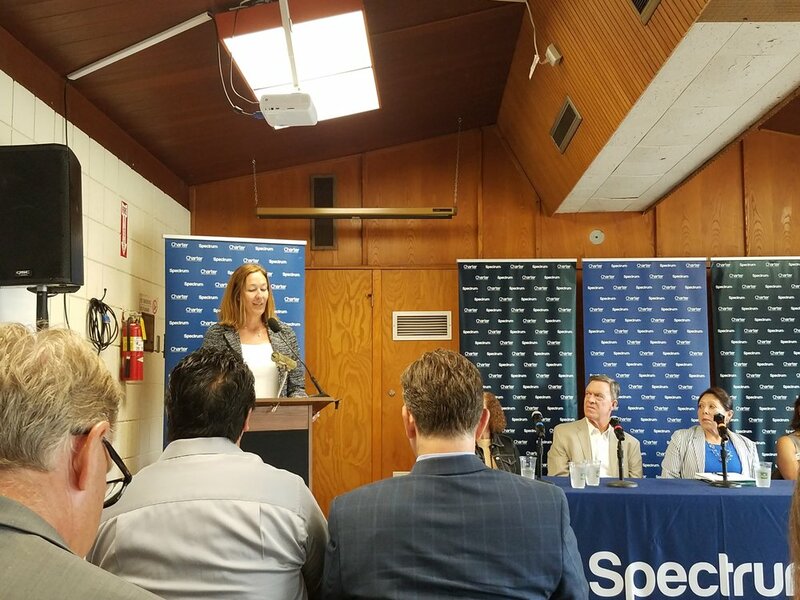 This was a great opportunity to highlight the WEC's efforts to get refurbished laptops into the hands of Ventura County STEM students through its Laptop Advantage program. More info about how easy it is to participate in the laptop advantage program can be found on our website by clicking the button below. 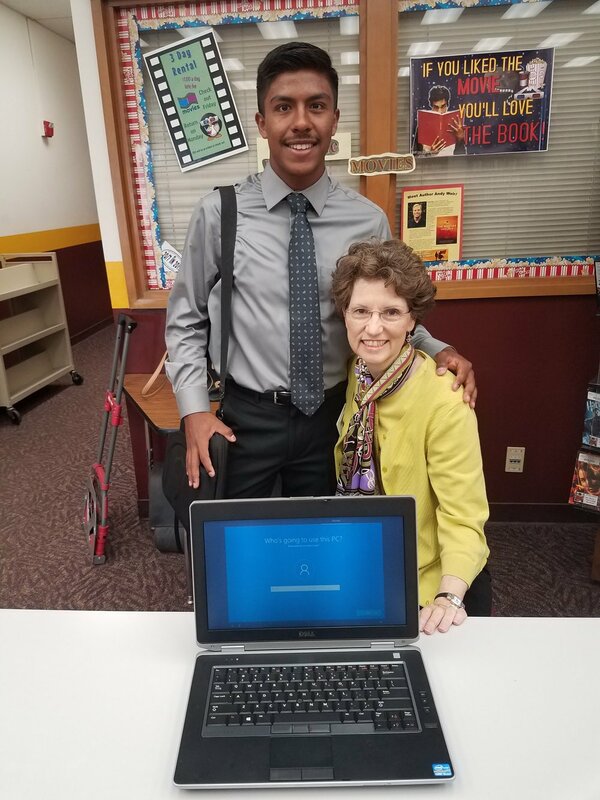 Through the generosity of Simi Sunrise Rotary, and our partnership with local vendor STS, Inc., the WEC awarded three Dell Latitude laptops to Simi Valley High School students. These students’ strong motivation to achieve their career tech education goals earned them SVHS’s recommendation for a WEC Digital Equity Scholarship. The laptops given to the students were loaded with a Microsoft Office Suite, and came with a sturdy carrying case, flash drive and four year warranty. There are many more students who could benefit from the Laptop Advantage program. 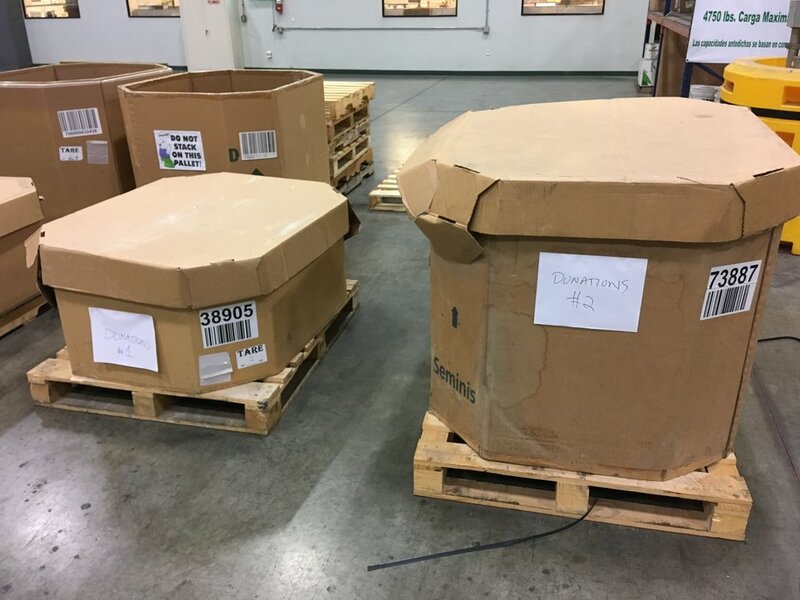 The WEC can use corporate donations of retired computer equipment to fund the program. Please encourage businesses that you work with to donate their retired computer equipment to the WEC’s digital equity scholarship program. Any questions about donations can be directed to M.Jacobsen@WorkforceEC.org. Career Tech Education Needs Your Help! Tiffany Morse and I spent the past few days meeting with all of our local state legislators about funding for Career Technical Education ("CTE"). Everyone was extremely receptive to our input. As of today, it is unclear how the legislators and the Governor will fund these very important programs. 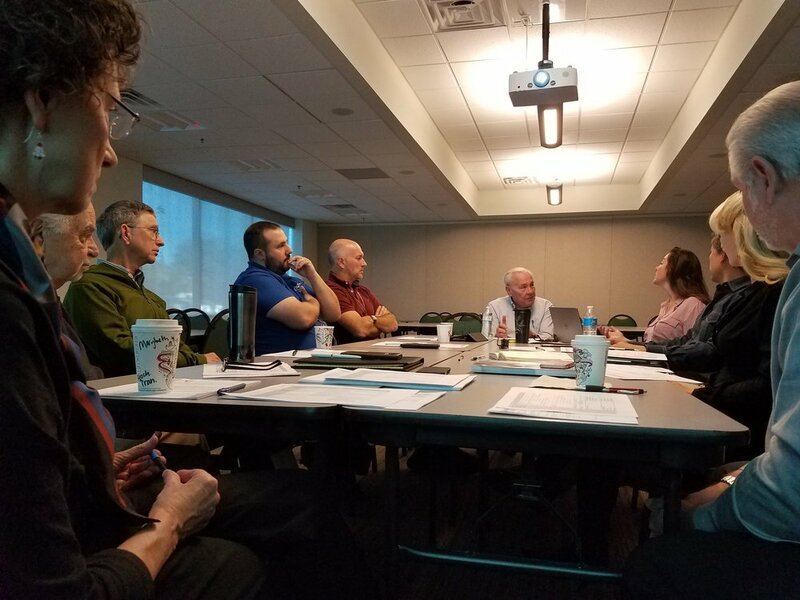 We are hearing proposals that would decimate all that we have accomplished in the past few years, as well as proposals that would permit CTE to grow. We are urging adoption of the Assembly plan, AB 1743, which would continue the existing competitive grant funding model. The WEC Coalition letter, that many of you have signed, has been very persuasive in Sacramento. Staffers urge us to expand the signatories to the Coalition so that they can continue to use the letter to gather support for the Assembly funding plan. If you have already joined Coalition, thank you! If you have not signed on, please click the link below to see the letter and join the Coalition. 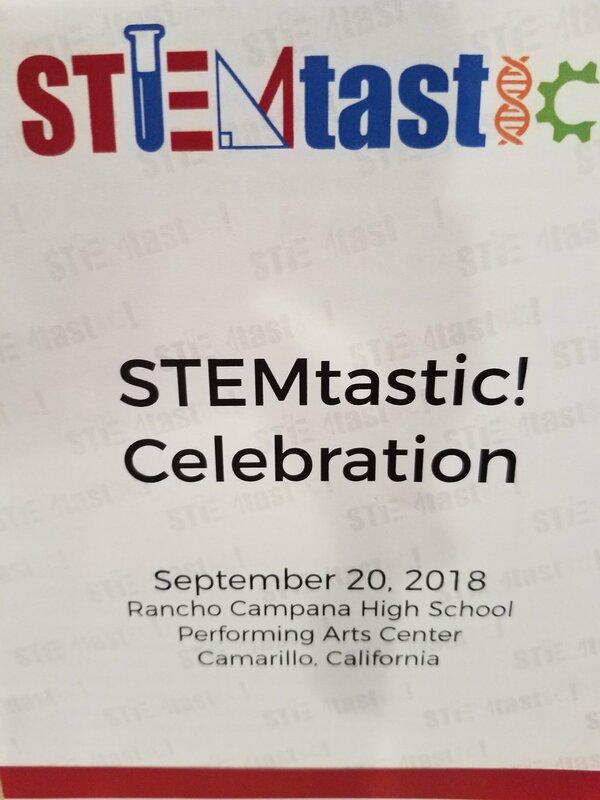 Your support will help to maintain and expand Ventura County's CTE programs. Add your name to the letter below to tell our representatives in Sacramento that you want current K-12 Career Tech Education funding methods to continue. 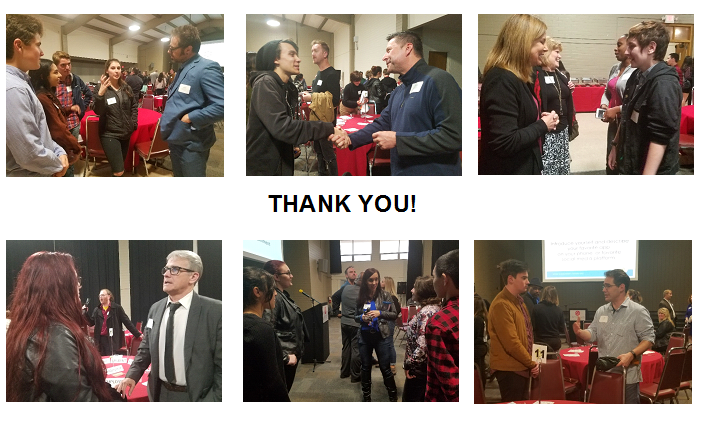 Last night business partners from all over Los Angeles and Ventura County came together for an evening in conversation with our local students. We had representatives from large media productions to graphic design businesses to scriptwriters in attendance. As one of our biggest Entree to Employment Dinners, we are so excited and thankful for all of the business partners who attended. Our students had a wonderful time learning networking skills and getting insights into one of the most varied career fields out there. A huge thank you to all of our business partners who took time out of their busy schedules to dine with us. Thank you also to VC Innovates for hosting this evening, Doing What Matters for Jobs and the Economy, and CSU Channel Islands. 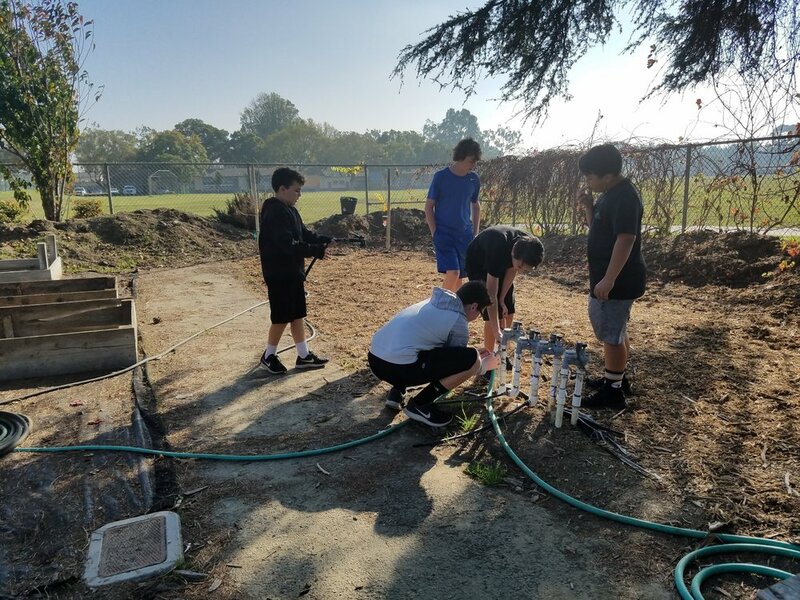 Four 7th and 8th grade Ventura County Environmental Horticulture and science classes had an exciting week with STEM-Ersion inspired lessons! WEC 2017 STEM-Ersion alumnae, Steve Roth, Racquel Rodarte, Stephanie Grostick, and Nancy Kennedy teach Environmental Horticulture and science at Balboa Middle School in Ventura. As part of these classes, students design and care for the school garden, raise trout, and study agriculture career opportunities. In 2017, all four Balboa Middle School teachers participated in the WEC's summer teacher Agriculture STEM-Ersion. On day one of the program, teachers toured local ag businesses including Deardorff Family Farms , Houweling’s Tomatoes, and Mission Produce. They learned about the multitude of careers in and the importance of agriculture in Ventura County. During day two, Monsanto gave teachers project-based learning lessons to take back to the classroom to help them share what they learned from the STEM-Ersion experience. Inspired by Monsanto’s Farmer Game, the Balboa Middle School teachers created a lesson plan that challenged students to convince their classmates to buy a unique fruit or vegetable. In part one of the lesson, students researched and discussed trends in agribusiness marketing - word choices, images, branding, etc. Part two required the students to research the food they selected. In part three, students designed an agribusiness ad and pitch that they presented to the class as part four of the project. WEC President & CEO, Marybeth Jacobsen, visited Mr. Roth's classroom while the students were designing their ads. She was impressed by the creativity, thoughtfulness, and artistic skills Mr. Roth's students demonstrated. It was an impressive assignment and the students were clearly eager to make their ad the “best“. One student proudly presented his ad for golden berries: "Golden Goodness": With these gold berries, you'll be rich in flavor! 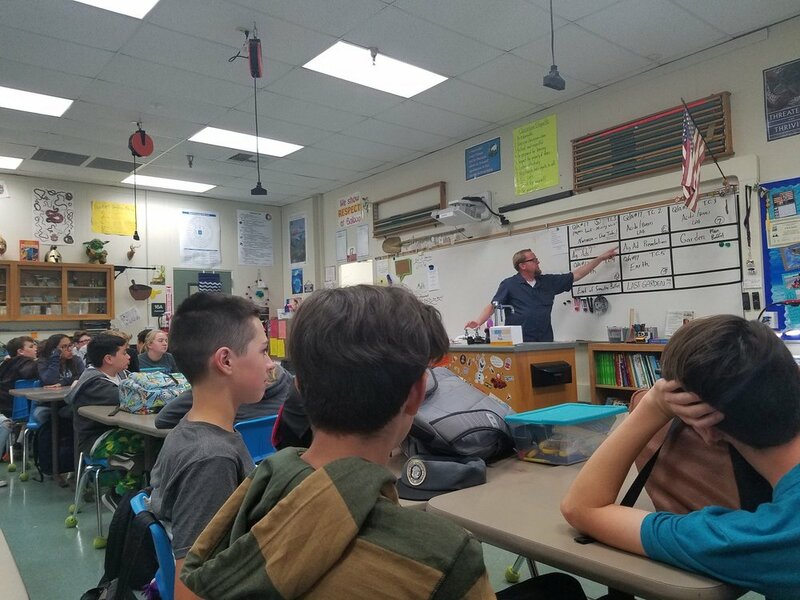 Thanks to the STEM –Ersion alumnae at Balboa Middle School, there are some bright minds that are a bit more interested in careers in agriculture than they were just a week ago. The WEC is proud to be a part of this story about training tomorrow's workforce today. 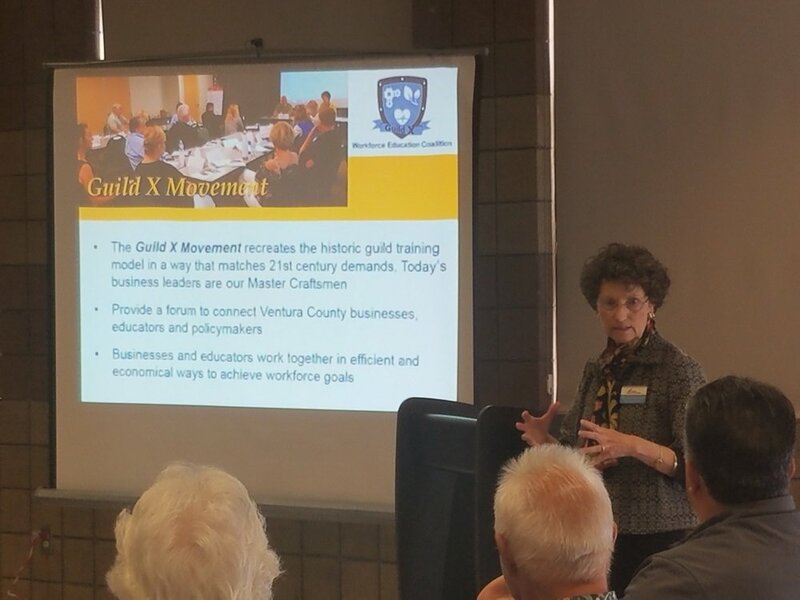 Last week, WEC President & CEO, Marybeth Jacobsen, spoke before the Simi Valley Community Council about the Workforce Education Coalition and the important work that we are doing throughout the county. The Community Council is a great place for leaders in the non-profit sector and volunteers to gather to cooperate to make the community a better place to live work. We had a great time meeting leaders in service from Simi Valley and look forward to future partnerships! This week Alex Wulff, a STEM teacher at De Anza Academy of Technology and the Arts, joined the Manufacturing Guild X to discuss his classroom and his plans for an exciting new project. Alex structures all of his classroom lessons around project-based learning. His methods cause his students to become passionate and curious about science and technical skills. His class has a waiting list and has inspired many female or low performing students to succeed in STEM. 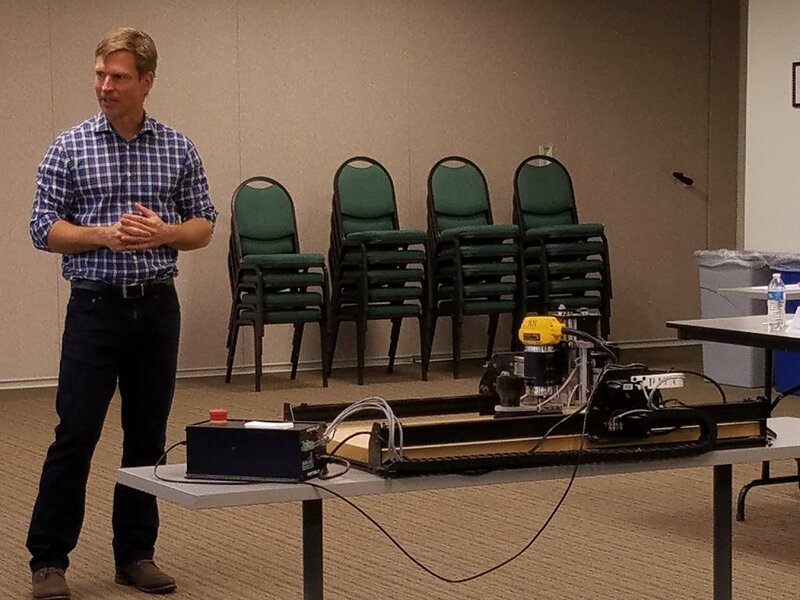 Inspired by his teaching experience, Alex created a non-profit organization to instruct teachers to operate CNC routers, to build their own creations, and, hopefully, to take the machinery to the classroom in the fall. Alex’s project will make a difference to students, teachers and ultimately, Ventura County employers! The WEC is excited to partner with Alex this summer for a Manufacturing STEM-Ersion which will immerse teachers in the manufacturing sector while Alex instructs them in CNC router operation. This past week a new chapter opened for our friends at Ventura County Community Foundation (“VCCF”). 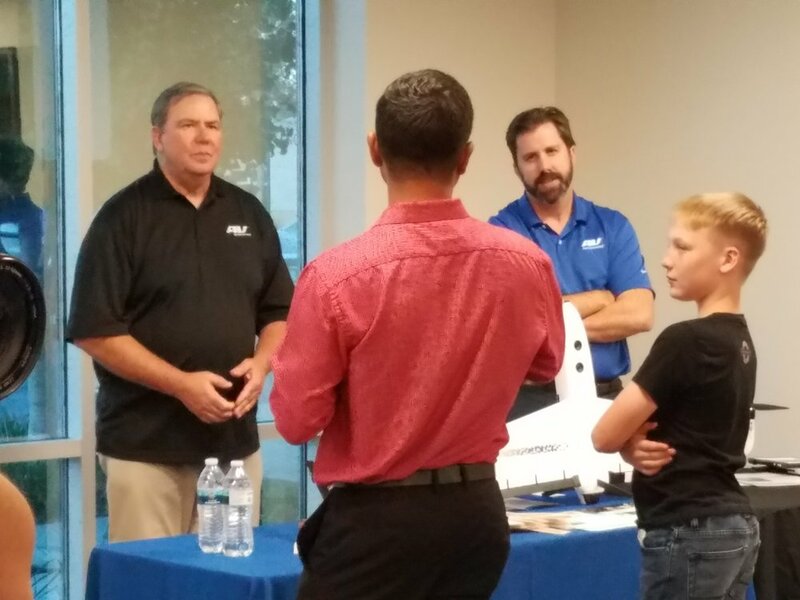 Matter Labs hosted a week-long Startup Camarillo event; the week was filled with networking events, presentations, and info about local innovators. The big news is that VCCF is home to the new Pharos Center for Innovation! There will be working spaces, networking programs, mentorship and educational opportunities, all at the VCCF building. To learn more about the Pharos Center for Innovation and to get connected, visit its Facebook page by clicking on the button below. You can also see a detailed calendar for what is happening in the local Startup community by clicking the Startup Camarillo button below.